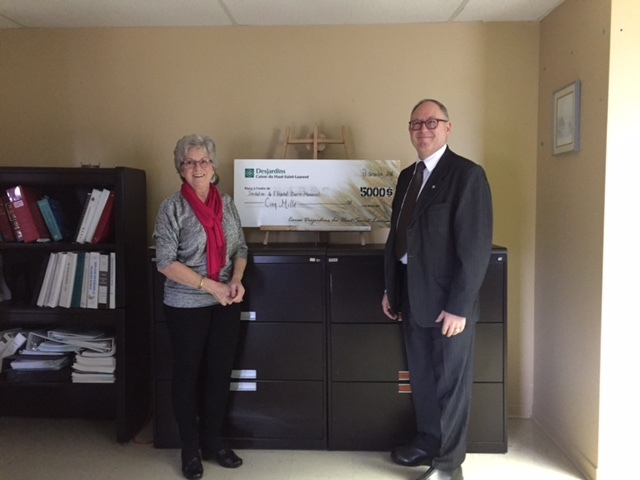 The Barrie Memorial Hospital Foundation would like to thank Desjardins for extending its financial support until 2018. We appreciate Desjardins for believing in our mission and for helping us to realize it! (Photo: Madeleine Greig, Chair of the Foundation and Yves Léveillé, Executive Director of Desjardins Caisse du Haut-Saint-Laurent).